Please select an option Black Brown White Blue Hot pink Red Please select a color. More fluency in every detail and key position. Personalized magnetic buckle fixed design, gives your phone and cards one more layer of protection. 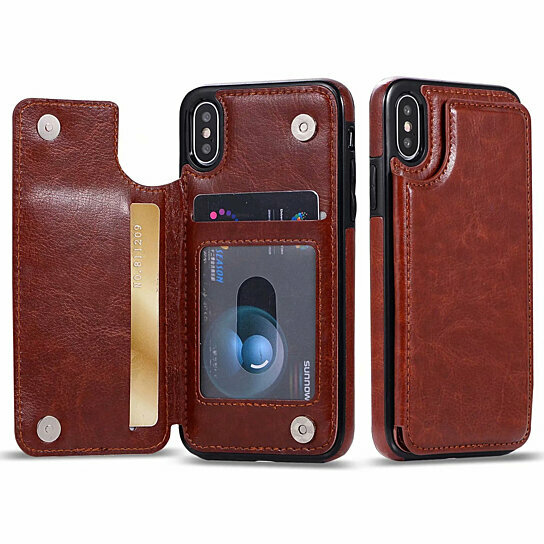 For iPhone - 7/8, iPhone -7/ 8 PLUS, iPhone - Xs, iPhone - XR, and iPhone - MAX. It comes in 7 beautiful colors like BLACK, BROWN, WHITE, BLUE, HOT PINK, AND RED.